Pixhawk-based tethered DJI S900 UAV. This S900 is pixhawk based set up for tethered flights with a BlueVigil RS1000 1500W tether system. 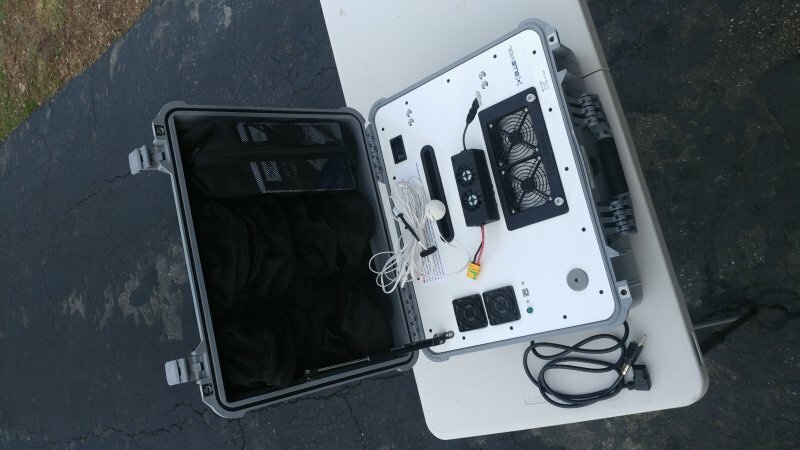 This system has and can be used for temporary mobile surveillance or a mobile network. This drone features a Tarot Peeper T10X optics system with a Connex wireless HD video Link. 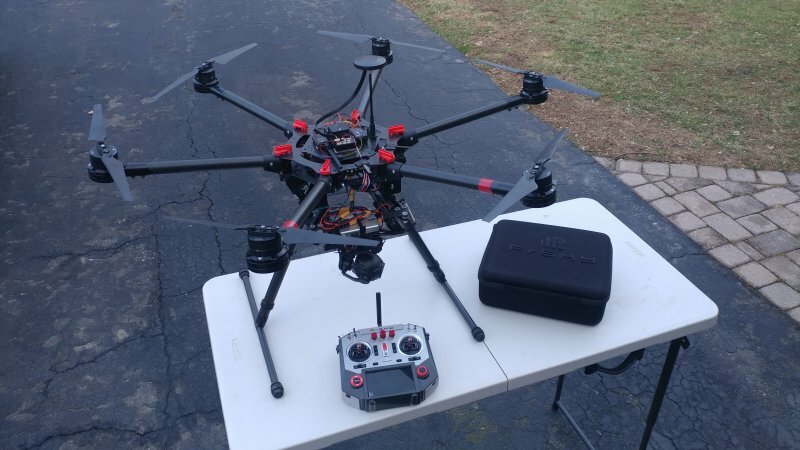 This custom S900 has top of the line components, including a Pixhawk 2.1, a Mauch power module, a Horus X10S transmitter, and the Here GPS and compass module. This drone has been a great engineering test platform for a tethered drone company and has treated us well! It has been test flown and ready to ship to its new home. We have cases available for an extra cost, and local pickup in Maryland is always an option. Please contact us if you have any questions about this product, or you would like us to work with you on your custom drone development, either tethered or untethered. Feel free to check out our website at equinoxinnovativesystems.com or contact us at rdove@equinoxcomms.com. - High precision driving algorithm, independent IMU to control PTZ posture, attitude control accuracy reaches 0.02 degrees, the integrated precision servo drive module. - Micro-SD card slot is overhead to avoid the rain influence. - Support SBUS decoding module upgrade port, using the Micro-USB link to connect the computer to upgrade parameters. Drone Racing gear for sale!